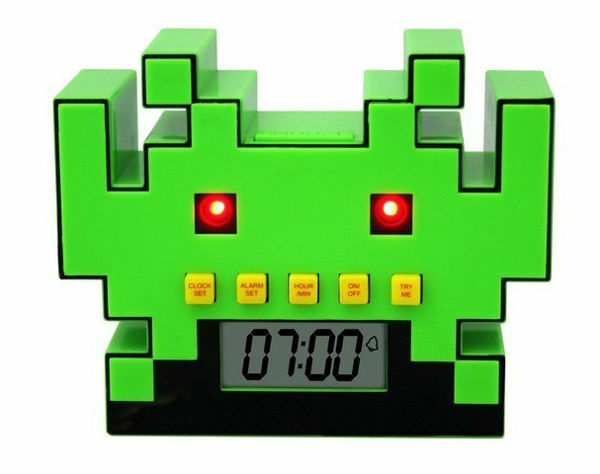 We recently took you to geekville courtesy of our post on the Space Invaders Crab Cushion, so we thought we’d keep the theme going with this Space Invaders Alarm Clock. What’s not to like? It’s bright green, and makes the same sounds as the iconic game. 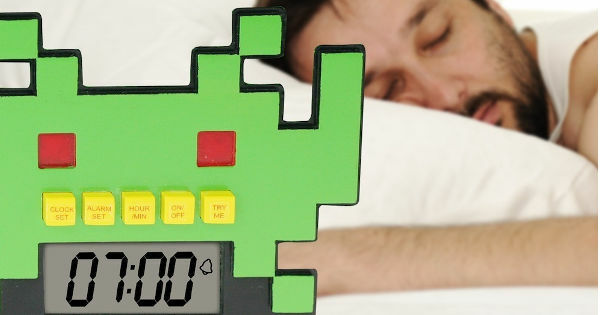 The eyes light up too, so you can wake to both the sights and sounds of a 1980s arcade. It also features a snooze function, if you should be so lucky. 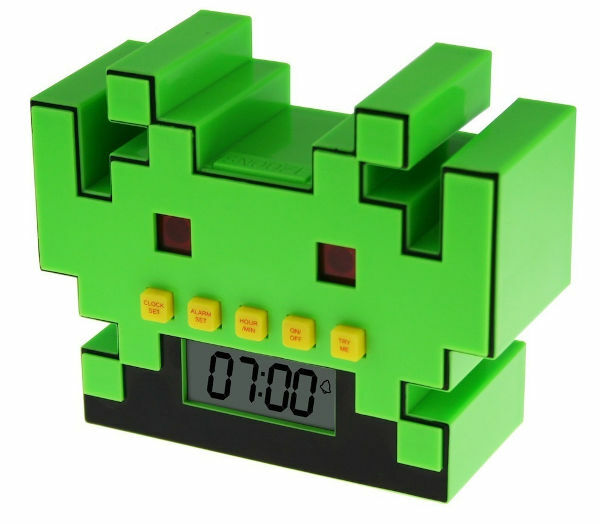 The Space Invaders Alarm Clock runs on batteries and is available from Down That Little Lane for $29.95.